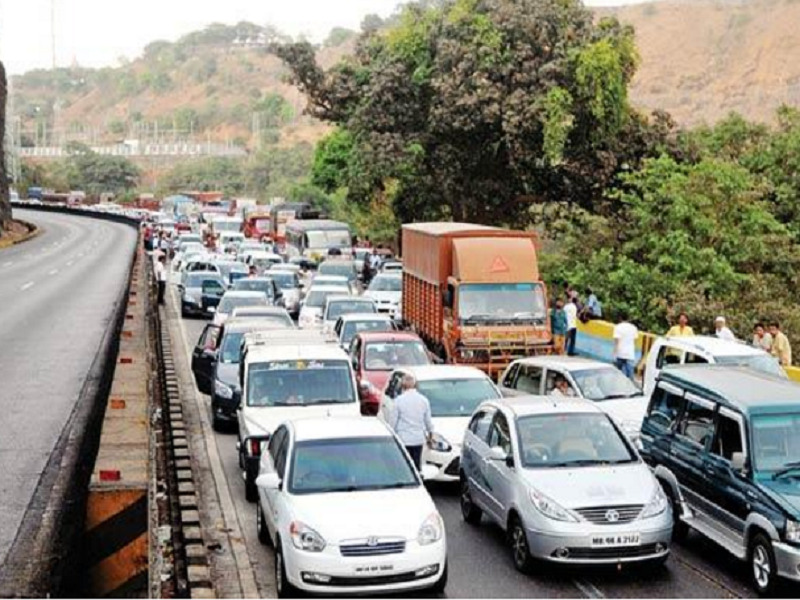 The Pune-Mumbai stretch of the expressway recently saw considerably less traffic congestion. The authorities of Highway Safety recently banned heavy vehicles from using the expressway between 7 AM and 10 AM. On Monday, 200 trucks and trailers were stopped at Urse toll post and Kusgaon. Since the traffic on the first working day was observed to be the highest, these timings were selected and no heavy loaded vehicle was allowed to ply on the expressway. The expressway was full with traffic since the Mumbai residents chose to drive back from Lonavala and other hill stations on Monday morning after the weekends. This could trouble local commuters and Government officers who also chose the expressway. The heavy loaded vehicles were ordered to halt at Khalapur toll post on the expressway between 5pm and 10pm on Friday and between 7am and noon on Saturday. The Additional Director-General of Police (Traffic) R K Padmanabhan said, "The Monday morning's experiment has been successful because no traffic congestions were witnessed." Since a large number of light motor vehicles remain stranded in the ghat section whenever a heavy vehicle breaks down or meets with an accident on Mondays, the authorities decided to conduct the same experiment next week claiming that the outcome was very encouraging.